Add some fun with this awesome hand drawn character animation, this VJ loop is the perfect way to add humor to your show. A colorful animation for you to add to your assets. 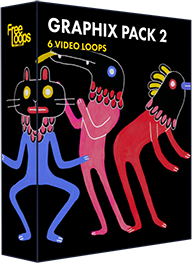 This video loop is part of Graphix Pack 2.